We print great-looking catalogues which ensure your business name stands out amidst your competitors. We are cataloguing printing experts who print catalogues using state-of-the-art offset or digital printers. 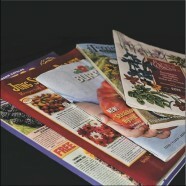 Our catalogue printing services comprise of a combination of advanced printing equipment and practical printing tools. To ensure you get the quality catalogue print you deserve, we implement a fast-turnaround set-up in all our print productions. We also assure you that you will be completely satisfied with the quality of our catalogue printing services. Our catalogues are designed in such a way that they will definitely improve your corporate identity. We are proud of our advanced printing services with a fast turnaround setup using bold and attractive designs. Our catalogue printing services are not expensive, time consuming or inaccurate like some other printers. We know that all our customers want their projects to be completed accurately, which is why we place so much of emphasis on paying attention to detail in the printing here than any other form of printing.